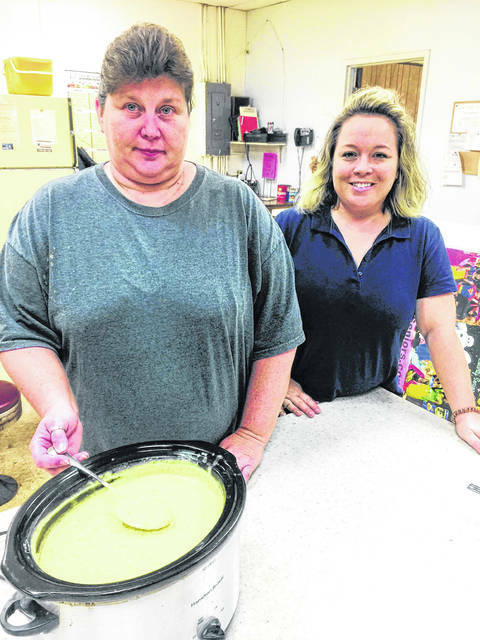 Rhonda Purdin and Mechell Frost at the Highland County Senior Citizens Center are shown in the kitchen with Sharon Hughes. Hello everyone! This week I have Rhonda Purdin, director of food and banquets at the Highland County Senior Citizens Center in Hillsboro, with me. I asked Rhonda a few weeks ago if she would do a recipe for In The Kitchen With Sharon and she said she would be glad to. 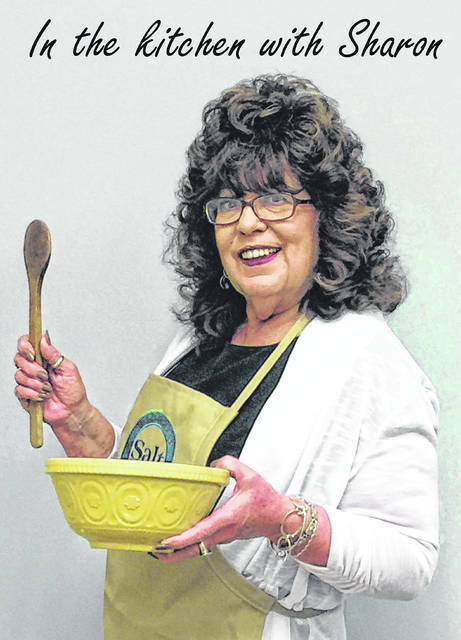 Rhonda called me last Wednesday and said, “The soup is ready.” I headed toward the center to take a photo and get the recipe, but I did not know she was going to send a batch of her broccoli soup back with me for all the folks at The Times-Gazette to have for lunch. Wow! We ate the whole pot and everyone agreed it was the best broccoli soup they ever had. While I was at the center, who else stepped in the kitchen but Mechell Frost, executive director of the senior center. She was working on her newest project, Cookies With Character, to be held at the senior center in three sessions on Saturday, Oct. 13. There is always something going on at the center and you can always find Rhonda in the kitchen fixing a great meal. And let me tell you, her broccoli soup is the best ever. Stop down for lunch sometime. The food is great! Thank you Rhonda for sharing your recipe. Ingredients — 1 pound bacon, 6 cups broccoli, 2 jars of Ragu cheese, 4 cups whole milk, 3 cups chicken broth, 1/2 teaspoon pepper, 2 cups flour. Would any of you like to share a recipe for In The Kitchen With Sharon? If you would, call or email me and I will be glad to get your recipe, a photo of what you are making, and share them with everyone. Sharon Hughes is the advertising manager at The Times-Gazette. She is also a mother, grandmother and chef. She can be reached at shughes@aimmediamidwest.com or 937-393-3456.